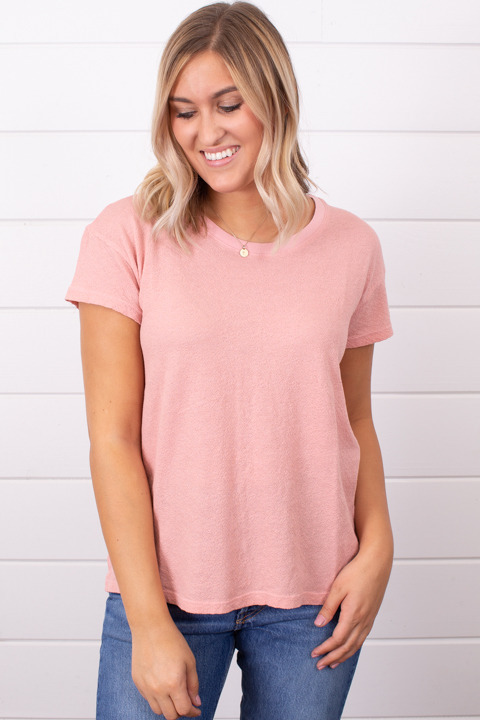 The Dream Tee made by Lacausa is the perfect basic tee that can be used for a variety of casual looks. 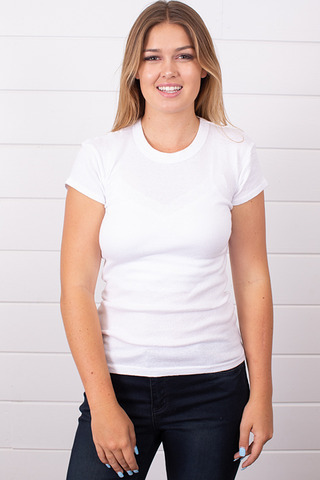 This tee features a ribbed neckline, short sleeves and a little slit on each side for some added movement. 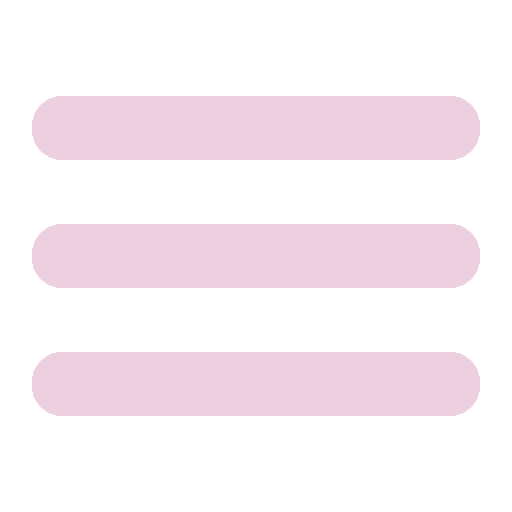 Its shade of light pink gives it a spring/summer vibe. 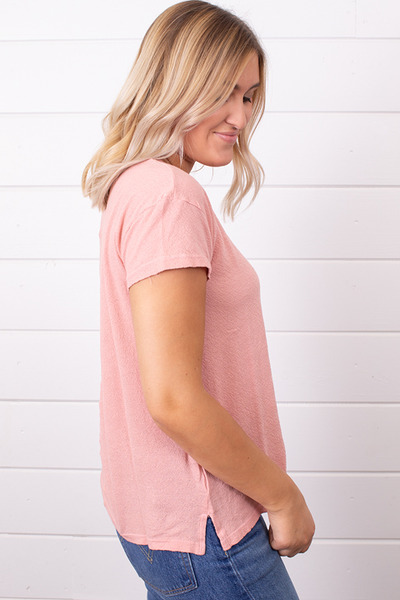 Pair this shirt with your favorite denim shorts or jeans for the cutest casual outfit. 100% cotton. Machine wash in cold water and tumble to dry on low heat. 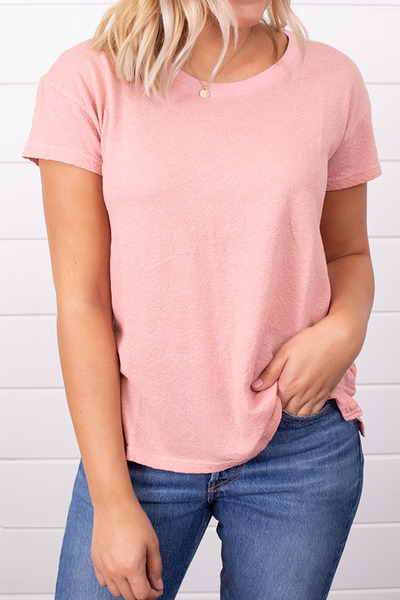 The Pocket Tee Dark Ru..